We are excited to offer this 2017 MINI Clubman. How to protect your purchase? CARFAX BuyBack Guarantee got you covered. Save money at the pump with this fuel-sipping MINI Clubman. This MINI Clubman features AWD. That means power and control delivered to all four wheels for maximum grip and improved handling. More information about the 2017 MINI Clubman: MINI has always brought a premium feel to the compact car segment. While the Clubman may be small by wagon standards, it offers a lot of personality. MINI is known for offering a lot of customization options, meaning no two Clubmans are quite alike. 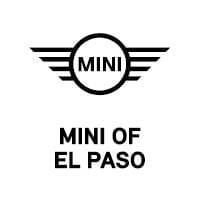 In either powertrain, the MINI brings the fun of driving into every trip, yet maintaining strong fuel economy numbers. Prices start at just over $24,000. Interesting features of this model are fun to drive, strong fuel economy, Adorable small-car looks, and quirky barn door cargo access We look forward to seeing you soon! Please call us for more information. We are excited to offer this 2019 MINI Countryman. Drive home in your new pre-owned vehicle with the knowledge you're fully backed by the CARFAX Buyback Guarantee. The Countryman Cooper S doesn't disappoint, and comes with all the quality and understated opulence buyers have come to expect from the respected MINI marque. A truly versatile SUV, this vehicle will please even the most discerning of buyers. The MINI Countryman Cooper S speaks volumes about it's driver, uncompromising individuality, passion for driving, and standards far above the ordinary. It's exceptional fuel-efficiency is a clear sign that not all vehicles are created with the same standards. You could keep looking, but why? You've found the perfect vehicle right here. We look forward to seeing you soon! Please call us for more information. New vehicle pricing includes all offers and incentives. Tax, Title and Tags not included in vehicle prices shown and must be paid by the purchaser. While great effort is made to ensure the accuracy of the information on this site, errors do occur so please verify information with a customer service rep. This is easily done by calling us at (915) 887-6135 or by visiting us at the dealership.